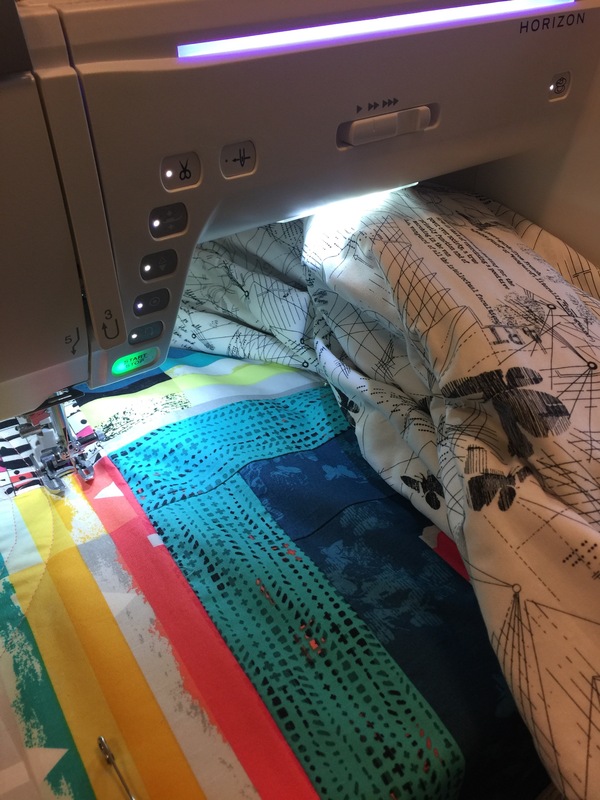 I have been working hard the last few months trying to get through my many quilt projects. Lately I have lucked out with the wonderful people that o have been working with. 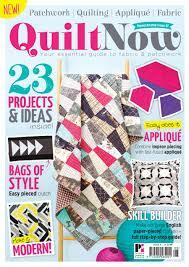 People like my friend Katy who is the awesome editor of Quilt Now!! We are at a point in our relationship where Katy kind of let’s me do what I want and that is a nice place to be. I’ll send her an idea and a possible fabric choice and she has never said no. It’s always a positive comment and off I go. Then there is my new online friend (as we have never actually met in person) Katarina Roccella. 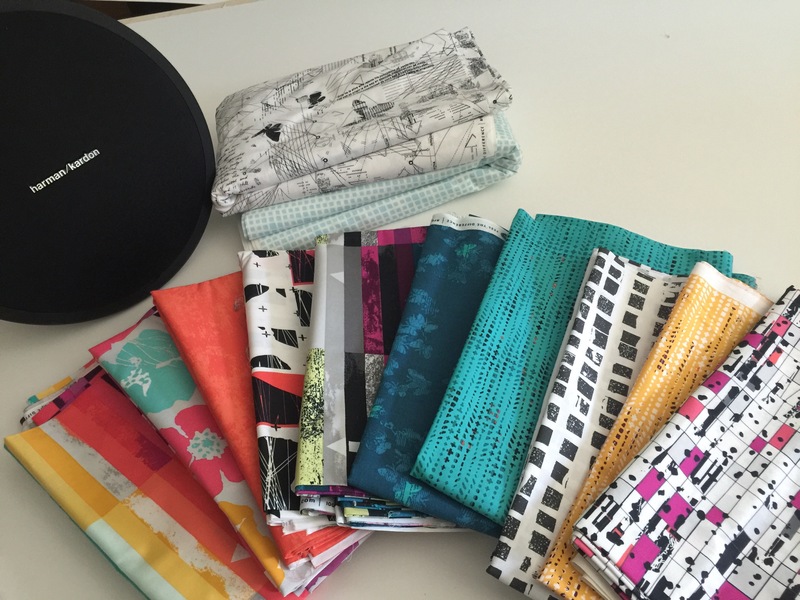 An amazing fabric designer working for Art Gallery Fabrics. For some reason I’m drawn to her designs and keep requesting them for my projects. 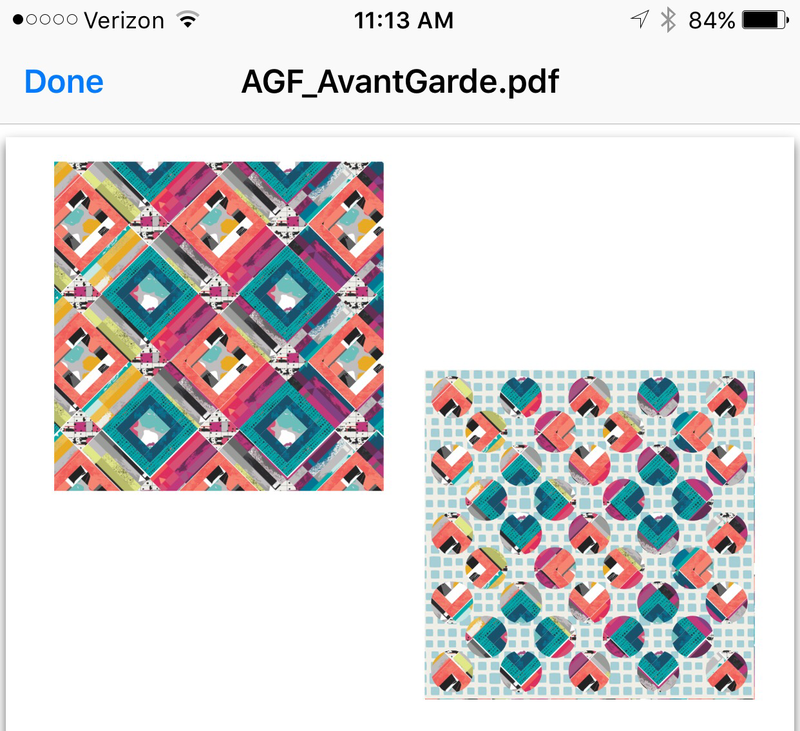 One afternoon when I was doing a bit of brainstorming I came across her most current line called Avant Garde. As you can now download jpegs of the range I did so and began to drop them in place and this came about. 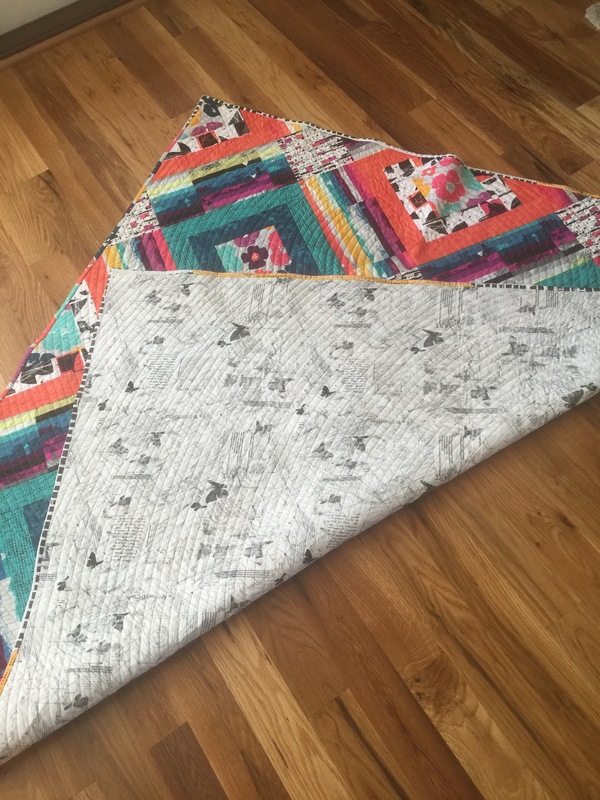 A pretty simple block made to look more complex with the use of specific fabrics in places. I wasn’t sure which direction to go but the unanimous decision was the top one. So I sent the image over to the great team at Art Gallery and this is what they sent me a few days later. So as you do when you are about to cut into a brand new collection, you grab yourself a Mt. Dew and get to chopping. 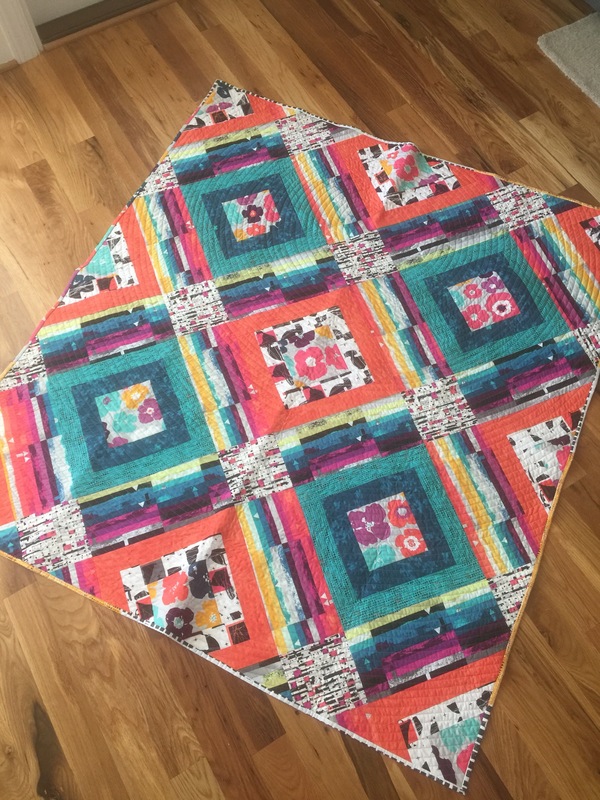 With my measurements in hand I began slicing and piecing the blocks together, then the rows and a few hours later my new baby was born! 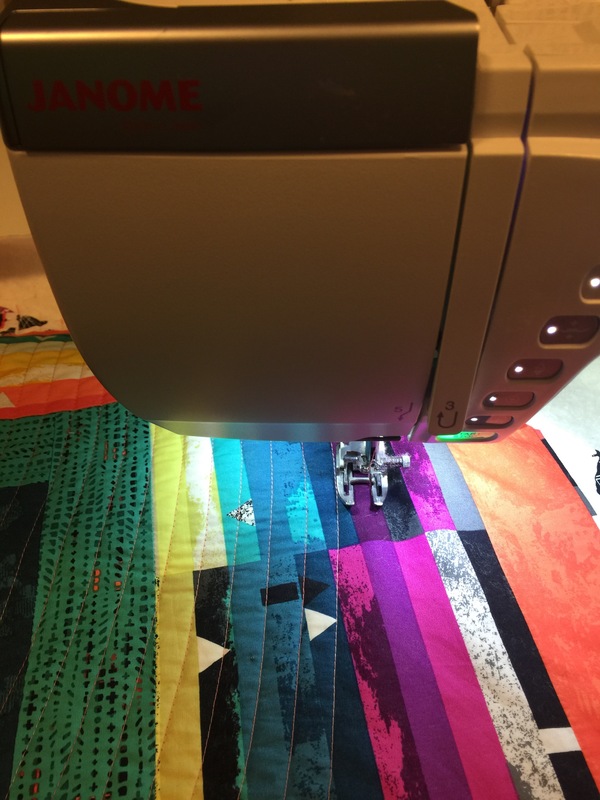 Now the fun part of planning the quilting. 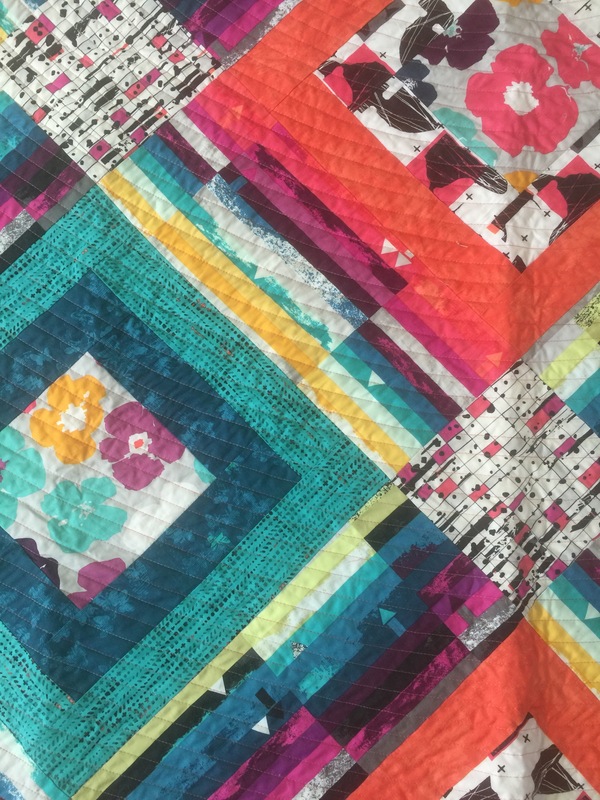 I’ve been hooked on doing some spirals as of late so why wouldn’t I put it on this quilt? 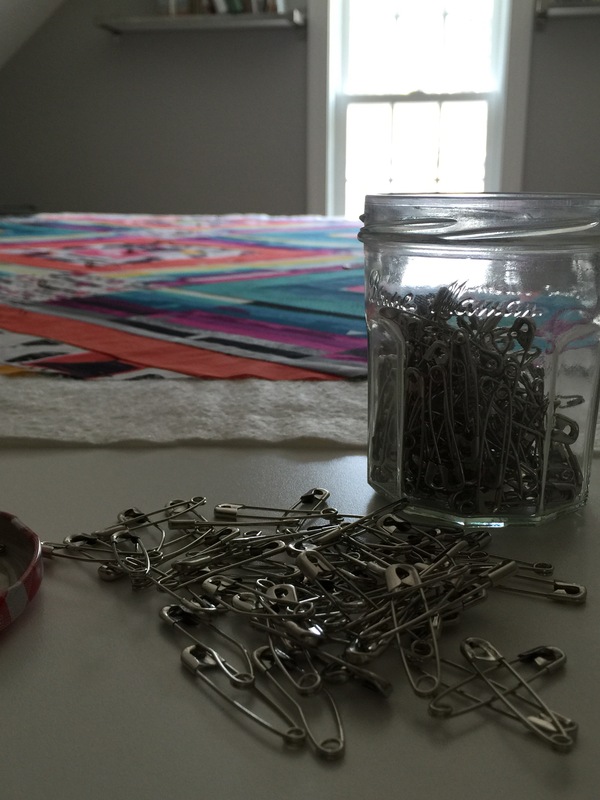 Armed with my jar of curved pins I began making first the quilt sandwich and then when I realized I had not had lunch yet an actual sandwich. 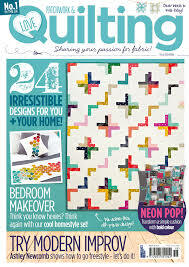 Off we go into the endless abyss of my spiral quilting. See I have this problem where I never do anything simple or easy. My spirals always end up taking more time to do then the actual piecing. Silly me! 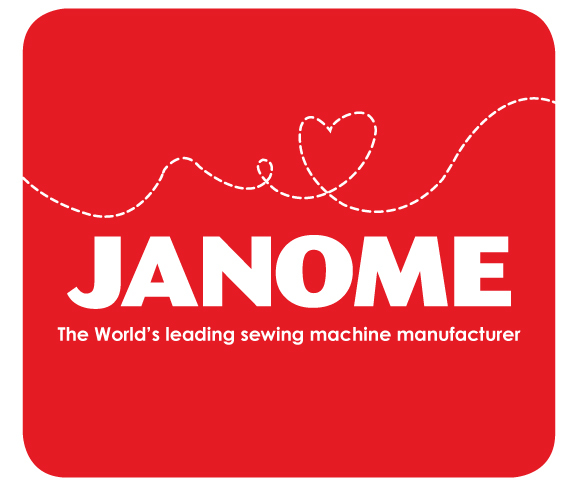 Note to self – adjust needle position to make spacing wider. 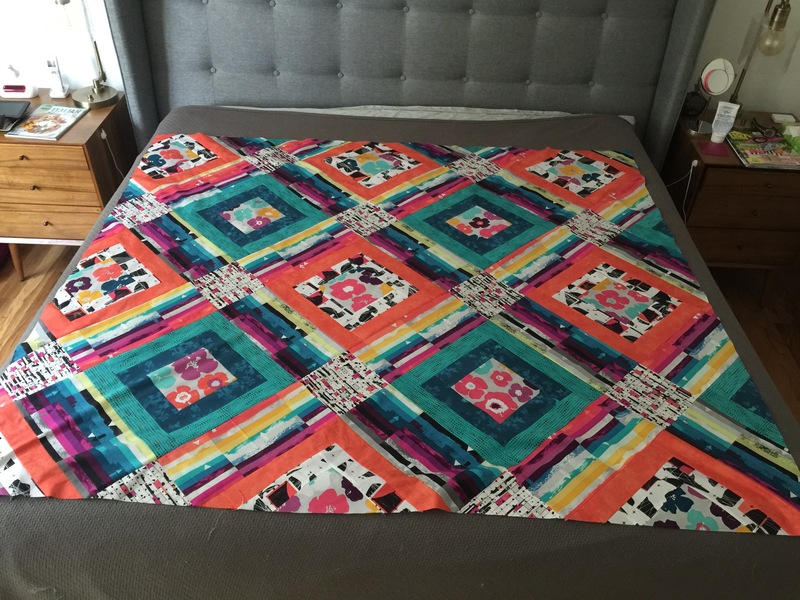 Wider = less quilting! But I do have to say when it was done it looked AWESOME! 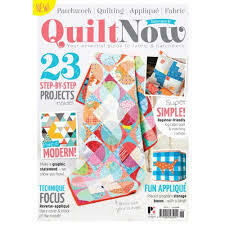 To make your own version of my trippy courthouse quilt go out and get yourself a copy of the latest Quilt Now magazine. 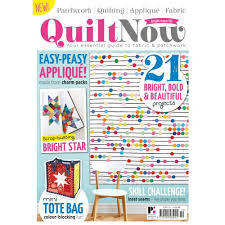 Issue 31.